As innovation and technological developments bring new security technologies to the market, access control is cementing its status as an integral part of a comprehensive security solution. 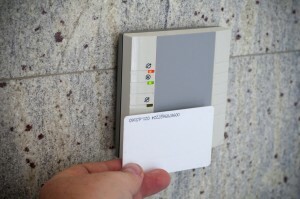 Access control systems allow for complete control over countless functions in a facility. From the management of HVAC systems to visitor management, video surveillance, and alarm systems, access control dictates many vital operations in a facility. With new technology, access control is becoming more customizable, more responsive, more scalable, and even backwards compatible. In this week’s blog, we’ll take a look at some of the ways access control systems have advanced in recent times. Scalability is important for any complex architecture, and access control systems are no exception. New access control systems are more scalable than ever before. Backwards compatibility, though not always a viable option, is becoming more feasible, and is allowing the use of legacy systems alongside new systems. New systems can even be used to control legacy systems, without having to spend time removing and replacing existing infrastructure. This entry was posted on Thursday, May 15th, 2014 at 1:52 pm. Both comments and pings are currently closed.